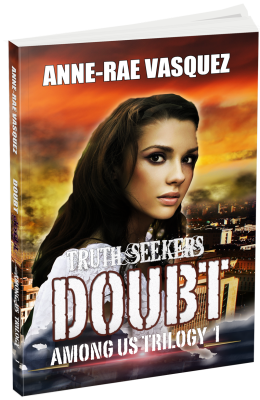 AR Publishing has released Anne-Rae Vasquez’s Doubt, the first installment of the Among Us Trilogy as a BitTorrent Bundle. The Among Us Trilogy is a paranormal apocalyptic, sci/fi, young adult fiction thriller which was launched in November 2013 at the Rain Dance Book Festival. Asked why she decided to release a BitTorrent Bundle, Author Vasquez replies that she can’t imagine a better way to have potential fans download her work and take it for a test drive. Entertaining her readers is her ultimate goal and BitTorrent gives her the ability to reach people from all over the world. WireService.ca Press Release (02/24/2014) – Although BitTorrent has been known notoriously for people using the P2P technology for illegal downloads, author Vasquez says BitTorrent has done a lot to change how its technology is being used. BitTorrent’s latest venture the BitTorrent Bundle had its debut in 2013. It succeeded in launching work from Academy Award nominated actors, directors, Grammy winning musicians, and best-selling authors (such as Madonna and Moby) with 60 million Bundle downloads over 400 published Bundles. “… being an artist and web programmer, I use multiple platforms and mediums for my work. It made sense for me to beta test BitTorrent’s Bundle program as it was a logical next step. I enjoy pioneering new ways to tell my stories and I’m extremely excited at being able to reach out to a different audience. Since the BitTorrent Bundle for the Among Us Trilogy was showcased on the BitTorrent Bundle featured page on February 20, 2014, there have been almost 1000 views, 225 downloads and counting. The Among Us Trilogy BitTorrent Bundle is available for free download at the official BitTorrent Bundles website. It contains never before released Cristal, a novella spinoff of the trilogy, sample chapters of Doubt (book 1 of the Among Us Trilogy) and other related graphics and video media. Doubt (book 1 of the Among Us Trilogy) is about former child prodigies Harry Doubt, creator of the Truth Seekers online game, and Cristal Hernandez. Harry decides to take the game offline when his mother and other gamers’ loved ones family go missing. Their search for the truth uncovers supernatural forces living among them which inadvertently triggers the beginning of the end of the world as they know it. The story mixes social media communications such as text messaging and video messaging as a form of communication between characters as they go on missions to find their family members here on Earth and the supernatural world. Download the Among Us Trilogy BitTorrent Bundle now by clicking here. 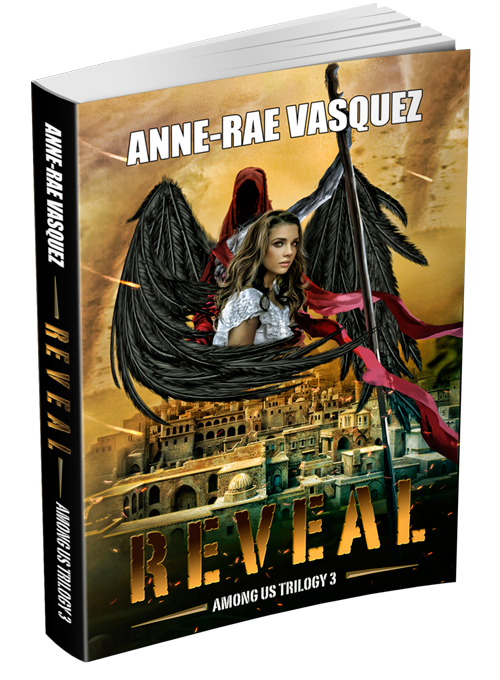 Anne-Rae Vasquez uses her film making, social marketing and writing skills and love for using transmedia to help attract readers who are closet truth seekers with a love for fringe science, gaming, paranormal, time travel and all things geeky. Among Us Trilogy, anne-rae vasquez, apocalyptic thriller, BitTorrent bundle, Doubt, Doubt Among Us Trilogy, fiction bittorrent, paranormal. Bookmark.